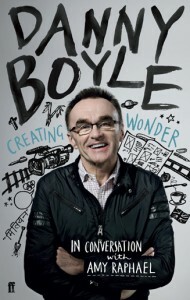 Jude Photographed Danny Boyle for Faber and Faber for a new book on his career by Amy Raphael . 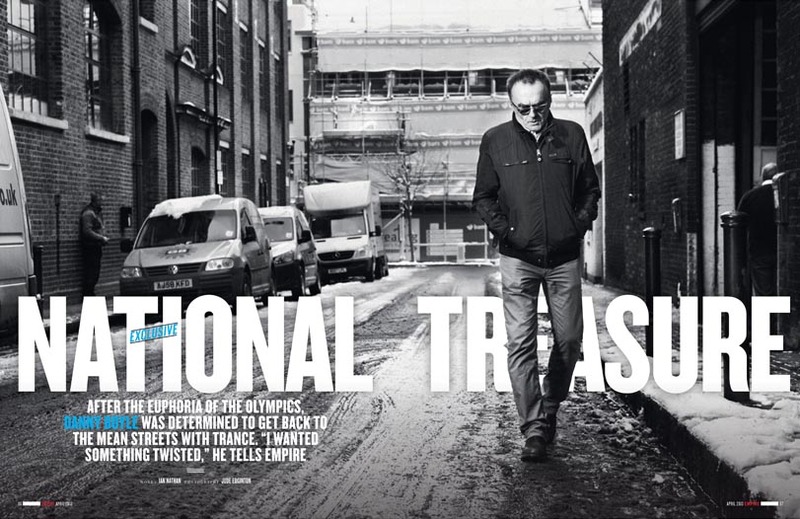 How to spend it – April 2013 . Jude photographs the head of Dior Raff Simons back stage at Paris fashion week. 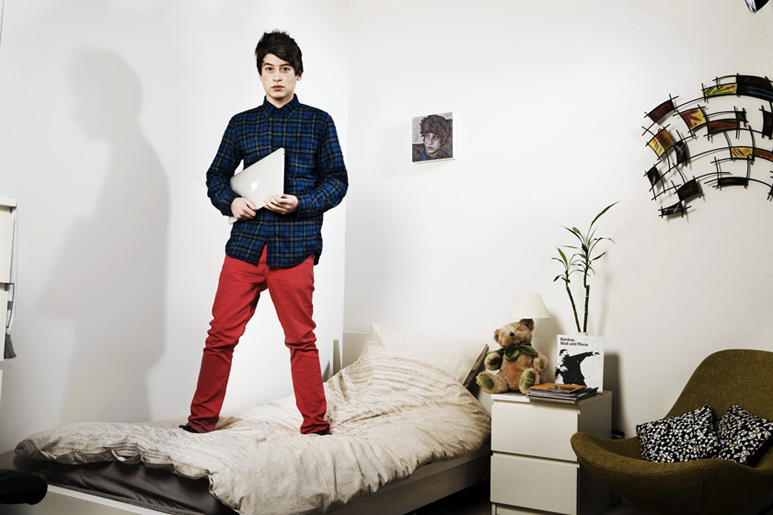 26 March Nick D’Aloisio aged 17 sold the app he made in his bedroom to Yahoo for £19 million. Jude Photographed him at his home in London. 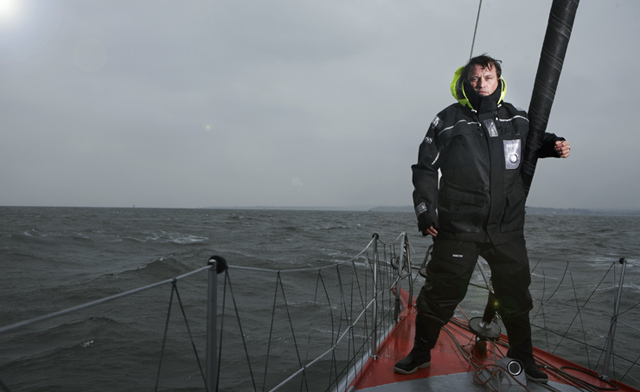 Jude and his team spent a very cold snowy morning photographing Alex Thompson while sailing off Gosport England . 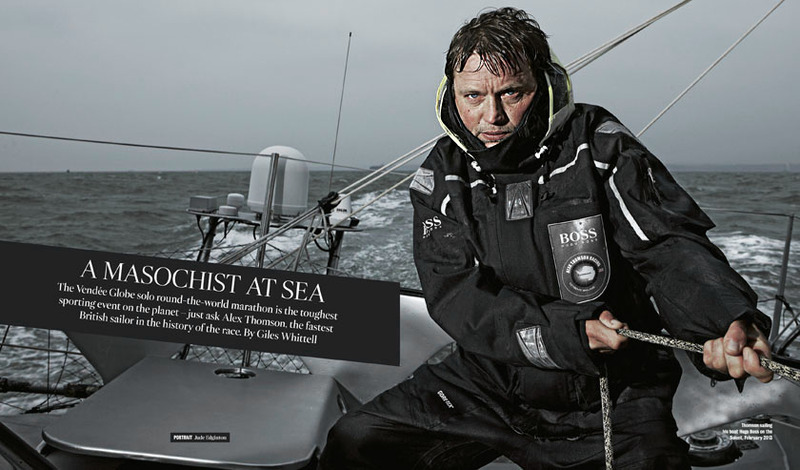 Alex had just spent 80 days sailing solo around the globe. 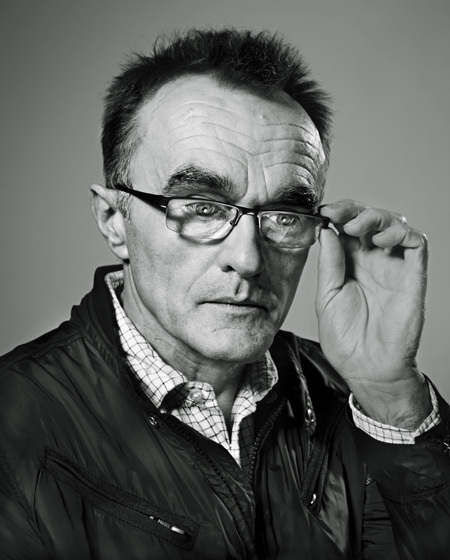 1 March 2013 Jude shoots Danny Boyle for Empire Magazine. An exclusive interview on his new film Trance. 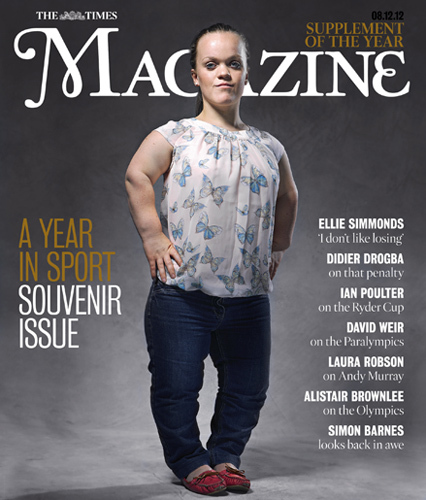 22 February 2013 Saturday Times Magazine. Jude travelled to Greece with the author Kate Mosse to interview and photograph Steven Grady for the Saturday Times Magazine. 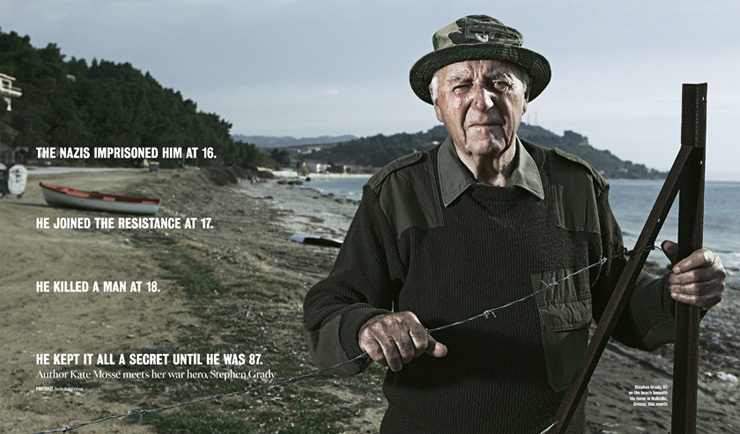 Steven joined the french resistance after being imprisoned by the Nazis at aged 17. His book Gardens of Stone: My Boyhood in the resistance is published this month. Over the last 2 years Jude has formed a strong relationship with the Financial Times luxury magazine How to spend it. 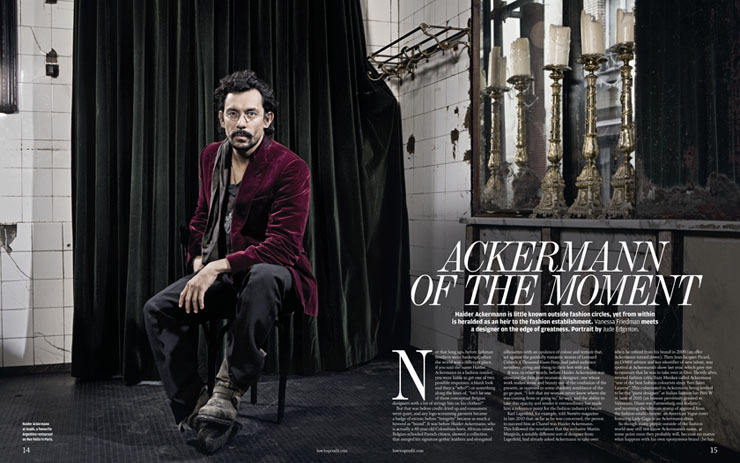 This month he photographed Edward Watson, Royal Ballet Principal Dancer, in London. Below are some of his past shoots for How to spend it. Edward Watson, Principal dancer at the Royal Ballet, on Waterloo Bridge in London January 2013. 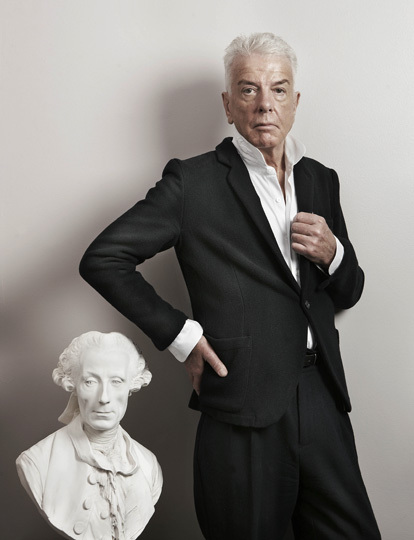 Terry De Gunzburg outside the Saatchi Gallery in London. The Covert Girls, Shooting Society, Wiltshire. 2011. 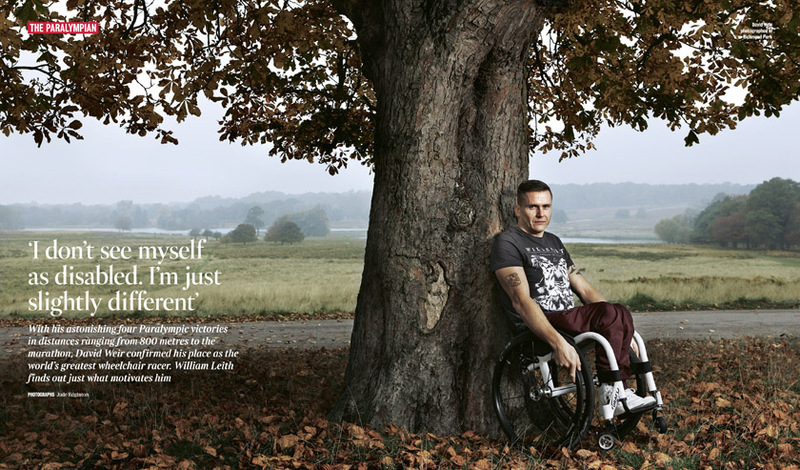 Jude Photographs Paralympians Ellie Simmonds and David Weir for the souvenir issue of The Times Magazine. 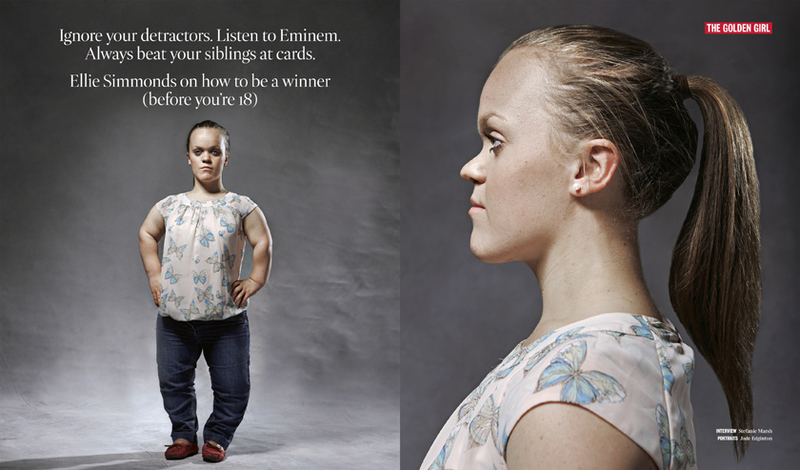 Jackie Green, 19, was born a boy named Jack. On her 16th birthday she became the youngest person in the world to have gender reassignment surgery.